The oldest Spanish bridge in Miagao is the well-known Puente de Boni (locally known as Tay-tay Boni). Built in 1854, Tay-tayBoni was constructed during the administration of Governadorcillo Miguel Navales and named after the bridge construction foreman, Boni Neular of Barangay Guibongan in Miagao. Taytay de Boni is a small narrow bridge (36.4 meters long by 8.4 meters wide) meant to be used by horse drawn carriages. This is an elegant looking bridge built using tablea or yellow coral stones from the mountains of Igbaras and Miagao. 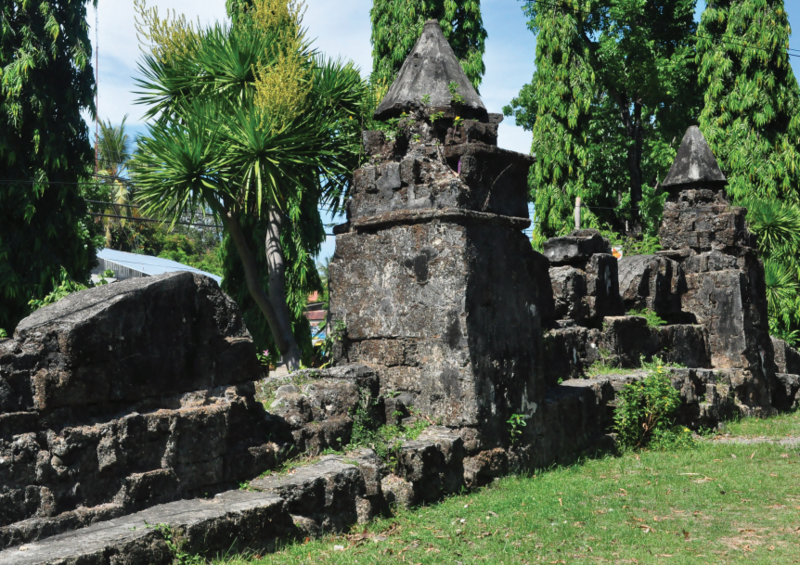 The same coral stones were used to build the Miagao Fortress Church. Tay-tay Boni’s salient features are the ‘massive newel posts topped by pyramidion finials’. It was built during the period when the port of Iloilo finally became a center of commerce again, but a decade before the sugar boom began by Nicholas Loney.